SL | Oh Look! It's A Blog! I have been wandering around in this new Addams release for a few days now (despite the rapid changing on my blogs I kept going back to this outfit!) it really is the perfect cute and casual ensemble. FaMESHedX is back and opens at midnight tonight! (SLT). All the neutral shades today. Also this new skin from Pink Fuel at The Epiphany is GORGEOUS! Collabor88 is open! The theme is Spring Nudes. I really love taking pictures in this room… the colors are so rich. If these wings could fly. This is a gacha event that is mostly fantasy themed but has a nice mixture of other items as well. 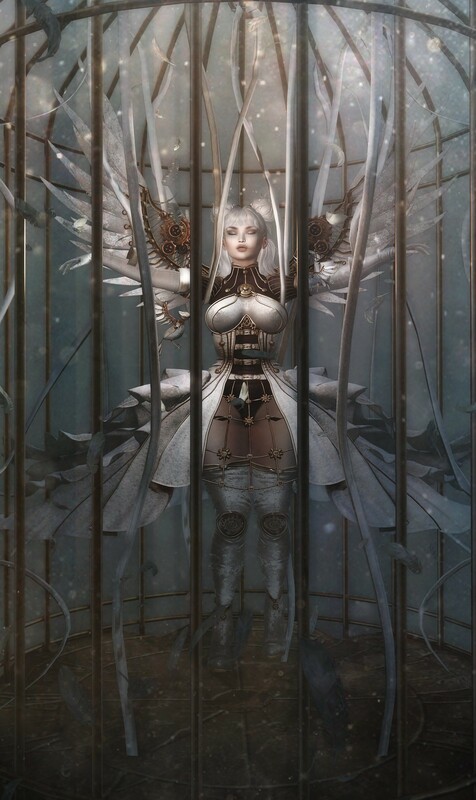 I INSTANTLY fell in love with the Caged Soul gacha from :MoonAmore:. It is so well done.